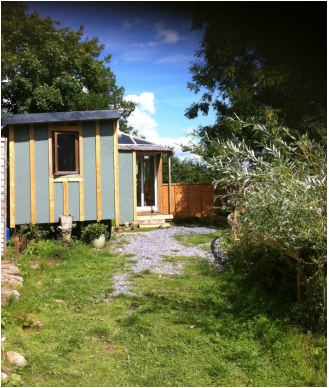 Huck's cosy cabin is perfect for couples or larger families or even groups of adults. It is larger than the shepherds huts and can sleep up to 8 people. It has a double bed and a bunk bed in the bedroom area. It also has a large kitchen/living area with a double sofa bed where there is also space for two air beds which can be provided. it has its own private W.C and shower. You can also feel cosy and warm all year round by getting the log burner going! All bedding for beds are provided, but you'll need to bring sleeping bags for the air beds.